Bere Island on the Beara Peninsula in West Cork has a unique and very unusual history. 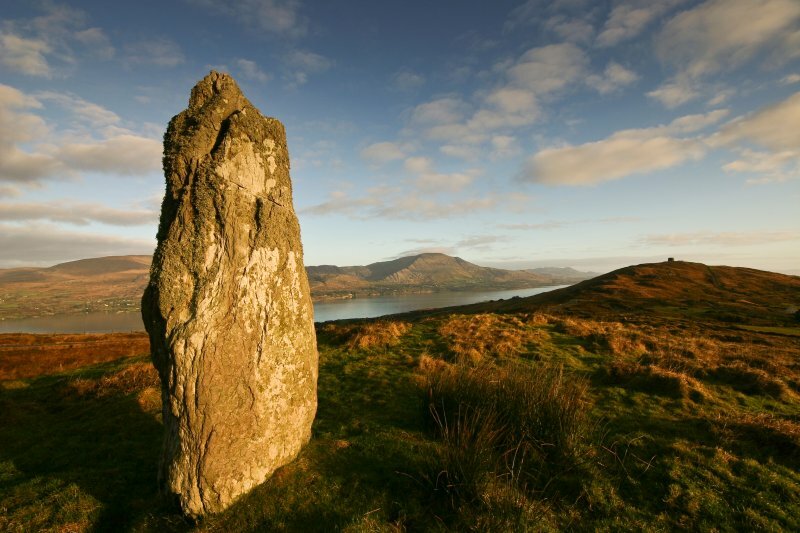 We can trace our earliest history back to the Megalithic tombs and Standing Stones, which still can be seen on the island to this day. Our history though is primarily military and this is due to the location of our island at the mouth of Berehaven which is one of the deepest harbours in Europe. This has always allowed it to accommodate the largest ships in the world!! Archaeologists have discovered that the Vikings had a settlement in Lonehort Harbour here on the island. Looking at it today we can see how they appreciated this picturesque and beautifully sheltered small harbour on the doorstep of the Atlantic Ocean. Today, due to excellent instructions in Cruising Guides, many yachts from all over Europe find safe sheltered anchorage during our summer months. Early military interest in the island dates to 1602 when Sir George Carew ordered a road to be built across the island to transport the pro-English forces to the Siege of Dunboy. In 1796 a French fleet entered Bantry Bay and Berehaven Harbour, led by General Hoche, under the direction of Wolfe Tone. The famous french longboat landed in Bere Island but adverse winds prevented the main force from landing here and eventually caused the fleet to disperse and return home. The result of these events was the British reviewed their defence plans and in 1803, when at war with France, Lieutenant-Colonel William Twiss was sent to Ireland to draw up a plan of defence for the country. As part of this review he was directed to see what security could be given to Bantry Bay. Visit the Heritage Centre on Bere Island where this unique history is illustrated.